The award winning Cabaret Club Casino is a top choice from players around the world. Available in multiple languages with the ability to play in multiple currencies, the casino offers a wide range of games, plus worthwhile bonuses and promotions, 24/7 customer support and exciting VIP rewards. Cabaret Casino is simple to navigate around with its user-friendly interface. Players can find a wealth of information right on the home page with plenty of links that give you access to any other information you may need about the casino. The casino is powered by the leader in online casino software, Microgaming. It is accessible in a download version and a no download instant play version that are PC and Mac friendly. The elegant graphics transport you into an online casino that feels like a quality Vegas choice. 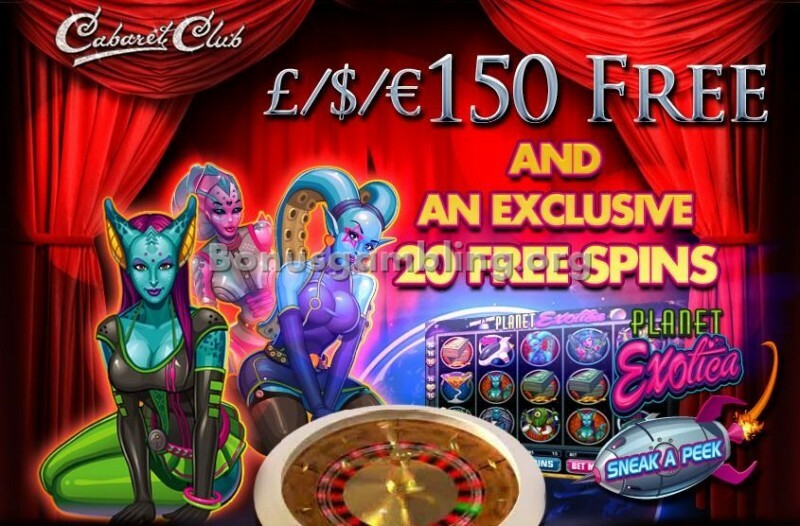 Besides for top graphics, animations and sounds, Cabaret Club Casino offers all the best features and functions that you have come to expect from Microgaming casinos. There are more than 330 unique games available at Cabaret Club Casino including table games, card games, video poker, slots, specialty games and progressive jackpot games. Popular games titles include multiple variations of blackjack, multiple variations of roulette, baccarat, craps, more than 20 variations of video poker and keno. There are more than 120 slots games available, including 3 reel slots, 5 reel slots and slots contests. Games are available for free in the fun mode of the casino and for real money in the real money mode of the casino. If you have any questions when playing at Cabaret Club Casino you can visit the FAQ section on the website. Here you can find the answers to general questions. If you don’t find the answer you need, you can contact the customer support team that is available 24 hours a day, seven days a week. They can be contacted via email, telephone and instant live chat and offer multi-lingual support. Cabaret Club Casino is licensed by the Lotteries and Gaming Authority of Malta. It does not accept players from the US and all players must be at least 18 years or older to play at the casino. Online since 2009, Cabaret Club Casino has become a top choice in online casinos for its elegant design, wide range of games and impressive features and functions. Their welcome bonus and VIP club are also eye-catching. I could not help but be impressed by the welcome bonus available at Cabaret Club Casino. I claimed a 100% match deposit bonus up to $150 on my first deposit and this got my bankroll off to a good start. The 20 exclusive free spins on the Planet Exotica slots game were a fun way to win extra bonus funds. Part of the Palace Group, Cabaret Club Casino also runs an exciting VIP club and I managed to claim many of the rewards, boosting my bankroll significantly and improving my playing experience. The loyalty points offer extra cash, plus I enjoyed the exclusive tournaments, VIP promotions and faster withdrawals. I will definitely be back to play at Cabaret Club Casino.